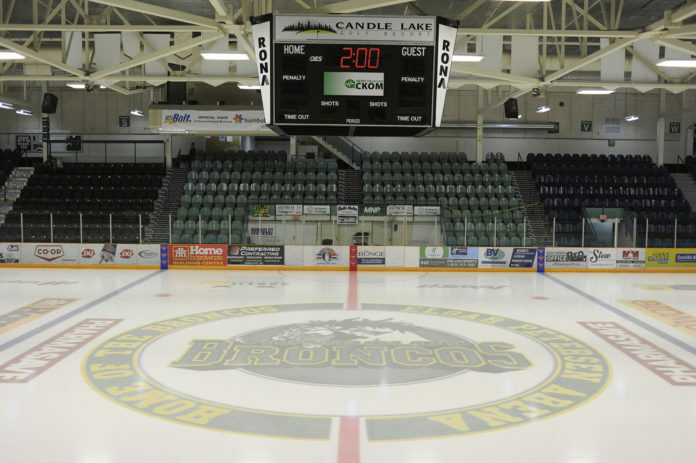 Daily Herald File Photo The Elgar Petersen Arena will be filled next Wednesday as the Humboldt Broncos go up against the Nipawin Hawks. I may have only been there for one day, but I’ve discovered a city to add to my list of my favourite places on earth. It’s an unassuming city of 5,000 people in the heart of Saskatchewan. It has produced Stanley Cup Champions, Olympic medalists, and an Oscar winner. It welcomes residents with a carved metal sign depicting blowing wheat and a large video board flashing messages of the day. Over the past few months, it has been the home of Canada’s heart. Wednesday, for the first time, I visited Humboldt. The Herald has sent reporters there before, but Wednesday was my first chance to visit the prairie city. I’ve covered tragedy before. Never on this scale, but I’ve spoken to parents devastated by the loss of their children. I’ve worked in a small city struggling with a series of deaths. I’ve witnessed a plane crash and the fallout on those impacted. I was expecting a certain distrust, a wariness and a weariness, and I was prepared for anger and grief to be directed my way. I experienced none of that. From the staff at A&W, to the cashier at Sobeys who expressed alarm that these journalists were coming to buy lunch (it’s impossible to blend in if you’re not from Humboldt, no matter how you try. Also, for the record, the Broncos fed us pizza and salad a little while after we returned with our sandwiches), to the people I met at the arena in the stands, and the folks who politely turned down interview requests in the nicest ways possible, everyone I met who was from Humboldt, was amazing. Moose Jaw may be officially branded the Friendly City, but from experience, they have nothing on Humboldt. During the game, I was seated by some season-ticket holders behind the penalty box area. The city’s former mayor sat to my right, and asked if I too ran into “Greg” (Dionne) at the arena entrance (I had). The couple in front of me asked how former editor Perry Bergson was doing (from what I’ve seen, he seems to be fairing well). I told them I would stay as out of the way as possible, to say something if my long lens got in the way, and that I would be as respectful as possible. “Of course,” one of my neighbours said. During intermission or stoppages in play, we chatted, about where I was from, or about the paper, or the game, or the broadcast. I didn’t feel like an outsider at all. I felt like a part of the Broncos family. It could have gone differently – a journalist and photographer working in a sensitive space during a sensitive time can cause consternation. But in Humboldt, I felt welcomed. Wednesday, I felt like I was a part of something. Wednesday, I learned what it meant to be Humboldt Strong. They could have expressed grief, rage, anger, disappointment at me. They could have ignored me or scolded me or chastised me and I would have totally understood. Humboldt is an amazing place, full of amazing people. It’s responded to the unthinkable with more grace and generosity than I would have thought possible. Thank you Humboldt, for being wonderful. For being kind, and welcoming, and most of all, for being strong. Thank you for setting an example of what it means to be good. For showing all of us how to respond in a difficult situation. Thank you for being Humboldt Strong.